The biannual opportunity to replenish cupboards and decorate walls is upon us. 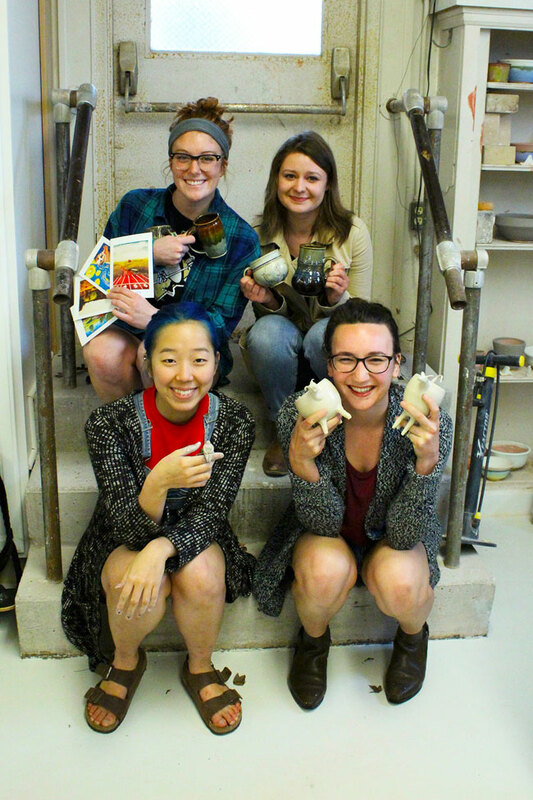 Every semester on Reading Day, the Student Art Sale gives Goshen College student artists and performers an opportunity to share their crafts with GC and the broader Goshen community. In the past, there has been a wide variety of art for sale including ceramics, paintings, prints, jewelry, terrariums, knitted goods, baked goods and CDs. The tradition has been around for over 30 years, according to Randy Horst, professor of art. Sponsored by the Art Club, the event is fully student-organized and normally only features student artists. “It’s self-perpetuating because underclassmen participate and then end up taking leadership roles in following years,” said Horst. Horst also notes the marketing skills students gain through participation in the art sale. Historically, the event has been located in the Union lobby, though other locations have been tried in the past. Last year’s spring sale, for example, was in the first-floor connector. This year, due to an increase of artists, the event will return to the Union lobby. According to Irina Gladun, a sophomore leader of Art Club and ceramic artist, this spring’s sale will be much larger than last year’s event. “We already have more than double the sellers than we had last year,” said Gladun. The incorporation of musicians also requires a larger space, which the Union is equipped to handle. Campus musicians provide musical entertainment for shoppers and sell their own musical merchandise. “It’s very fun to see what people have created and it’s fun to be part of that creativity as a musician,” said Andrew Pauls, a senior and musician who has performed at many art sales during his time at GC. Abe Medellin, a sophomore, and Sohail Das, a sophomore, will also perform. For Caitlyn O’Neal, a junior, the spring sale will be her second art sale at GC. O’Neal, an art major who transferred from Davis & Elkins College, appreciates the diversity of work at the sale. O’Neal will have ceramic mugs, prints of original paintings and cards of her paintings available for purchase at the upcoming sale. Gladun knows firsthand how special the art sale is. As an artist and an organizer, she sees how community engagement helps foster a welcoming artistic atmosphere on campus. Dona Park, a senior, has been a constant presence at art sales for the past three years. In addition to selling her art, she has been in charge of designing the poster for the event. Her design this year features the Mona Lisa with strips of the painting being torn away to reveal a floral pattern. Whether you come away with a new mug, a print or a poster, the student art sale is a perfect opportunity to support your peers while obtaining a “baller” piece of art. 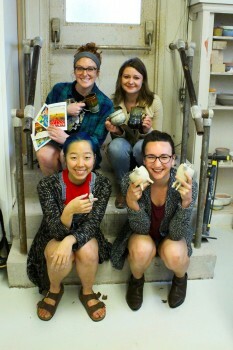 The Student Art Sale will be held in the Union lobby on Monday, April 24 (Reading Day) from 10 a.m. to 4 p.m. The sale is free and open to the public. Most purchases will be cash or check only.